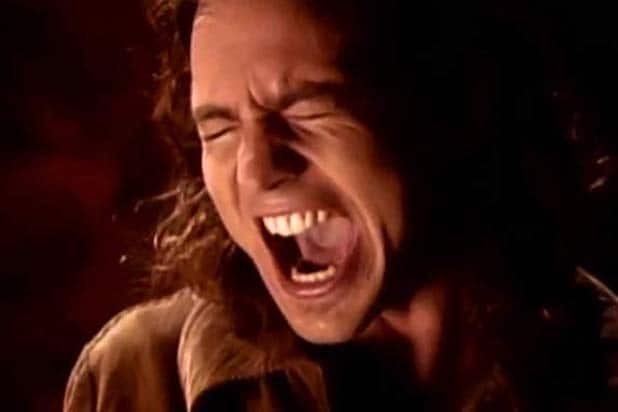 "Jeremy" by Pearl Jam: From the moment people saw the song's harrowing music video, Pearl Jam's "Jeremy" has always been a song associated with gun violence and teen suicide. But after decades of rock radio play, the real Jeremy Wade Delle's story has faded into the background. Delle was a 16-year-old student at Richardson High School near Dallas, Texas, who left to get an admittance slip but returned with a gun. "Miss, I got what I really went for," he is reported to have said before shooting and killing himself in front of a classroom of 30 students. Eddie Vedder read a paragraph in a newspaper and said he wrote "Jeremy" based on Delle's story, but also of a student in his own high school in San Diego who shot up a classroom but did not injure anyone, as he explained in a 1991 interview. 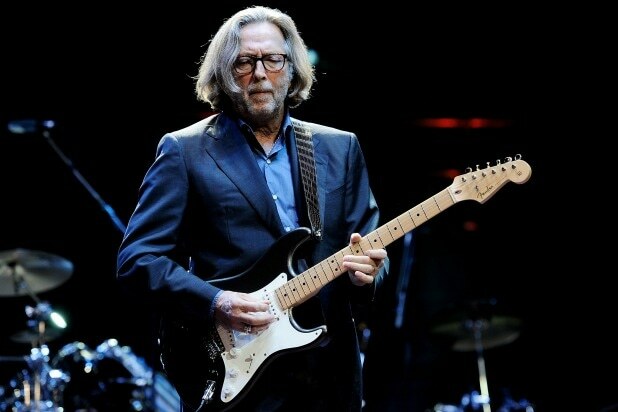 "Circus" by Eric Clapton: Two Eric Clapton songs address the tragic death of his four-year-old son Conor. While "Tears in Heaven," perhaps better known, addresses the bond between father and son and the hope of reconnecting in the afterlife, "Circus" is Clapton reflecting on his last day with his son at an American circus. His son told him he liked seeing a clown brandishing a knife, a lyric that made it into the final track. "I was paying tribute to this night with him and also seeing him as being the circus of my life," Clapton said in a 1998 BBC interview. "You know - that particular part of my life has now left town." "The Wreck of the Edmund Fitzgerald" by Gordon Lightfoot: The SS Edmund Fitzgerald was the largest freighter in the Great Lakes until it sank on Nov. 10, 1975 in Lake Superior, killing all 29 crew members aboard. Gordon Lightfoot immortalized the tragedy in his song the following year. Lightfoot was inspired by a Newsweek article about the tragedy. However, he took some artistic license in the story, for instance, singing that the ship was headed for Cleveland when it was actually headed to Detroit. "Smoke on the Water" by Deep Purple: It might be a stoner anthem nowadays, but the lyrics on Deep Purple's "Smoke on a Water" are scarily literal. Frank Zappa and Mothers of Invention were playing a gig at a Montreux casino in Switzerland when 90 minutes into the show, someone fired a flare gun that started a blaze. Claude Nobs, who organizes the Montreux Jazz Festival, remembers pulling kids out of the water as described in the song, saying that onlookers, like the band looking on from afar at their hotel, would've just thought Zappa had an especially pyrotechnic end to his show. "Oblivion" by Grimes: "Oblivion" is a buoyant, dreamy synth pop anthem as sung by Grimes in her high soprano tone, but the lyrics paint a bleak picture of sexual assault. "Someone can break your neck/coming up behind you and you never have a clue," she sings. But Grimes, a.k.a. Claire Boucher, wrote the song based on her own harrowing attack. "I was assaulted and I had a really hard time engaging in any types of relationship with men, because I was just so terrified of men for a while," she told Spin in 2012. "I took one of the most shattering experiences of my life and turned it into something I can build a career on and that allows me to travel the world. I play it live every night." "Rehab" by Amy Winehouse: "They tried to make me go to rehab, and I said no no no," Amy Winehouse sings on her hit single "Rehab." Sadly, her manager said this was a real conversation he had with Winehouse, driving her into the middle of nowhere until she admitted she had a problem. He had gotten frequent late night phone calls from Winehouse and noticed she was uncomfortable at her own grandmother's funeral. But once she got home to her father, her manager said her tune changed. "The irony is she went off and wrote a song about that particular day, and it turned her into the biggest star in the world," her manager wrote after her death. "It took everyone a long time to catch onto the fact that 'Rehab' is actually serious. She said no, and died five years later." "I Don't Like Mondays" by The Boomtown Rats: The grand, operatic single "I Don't Like Mondays" by The Boomtown Rats tells the grim story of a young girl who committed a school shooting and, when asked by reporters why she committed this atrocity, gave as her rationale simply, "I don't like Mondays." 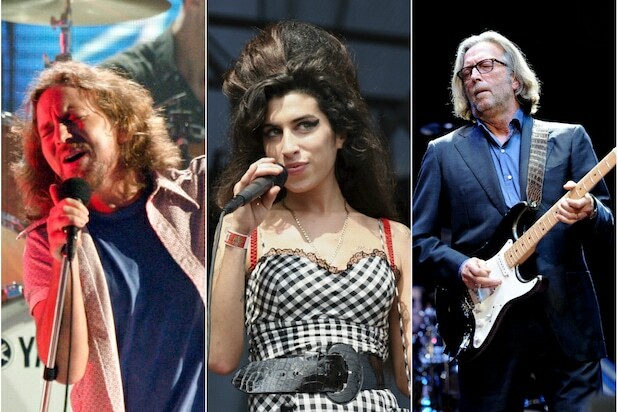 "Daddy doesn't understand it, he always said she was good as gold," Bob Geldof sings. In 1979, 16-year-old Brenda Ann Spencer opened fire on a group of school children from her house in San Diego, killing a school principal and janitor and wounding eight students. "The Magdalene Laundries" by Joni Mitchell: "I'd just turn 27 when they sent me to the sisters for the way a man looked at me," Joni Mitchell sings in her song "The Magdalene Laundries." The narrative folk song is based on a terrifying history of systematic abuse of women in Ireland at the Magdalene laundries, or Magdalene asylums. Starting in the 18th Century and moving until as late as the 1970s, an estimated 30,000 women were housed under Roman Catholic orders and by nuns for "fallen women," a term that encompassed everything from prostitutes to women who had been sexually assaulted or given birth out of wedlock. The terrors of these institutions came to light when, in the 1990s, a mass grave of 133 women was uncovered. Peter Mullan would make a film "The Magdalene Sisters" about the asylums, and Sinead O'Conner was even held in one when she was young.